Type cmd in the search box and select Command Prompt, right click on it and select Run as administrator. Type sfc /scannow and press Enter. 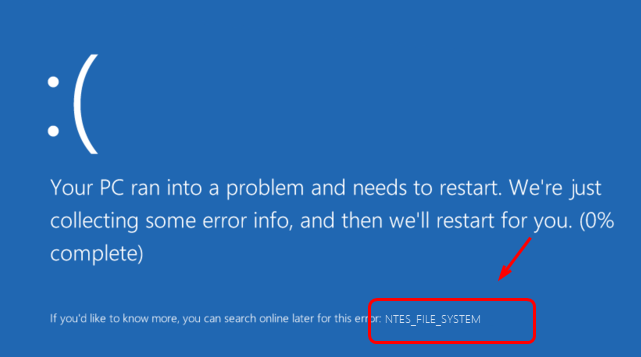 If you have added a new software, application or a program to your computer remove it and check if the NTFS_FILE_SYSTEM error still persist. Type chkdsk/f/r and press Enter. Open Command prompt as shown in above methods. Type verifier and press Enter. Press Windows + X and select Device manager. In the Device manager window expand to find hard drive or USB devices. 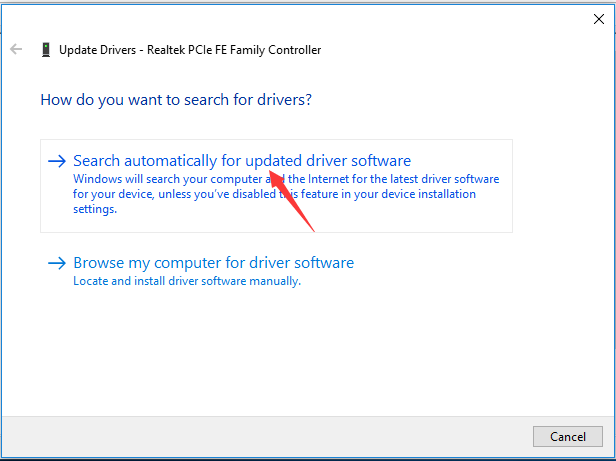 Right click on the driver you wish to update and select Update Driver. Select Search automatically for update driver software. Windows will automatically install the updates, if there is any.